Audi Q5 tuning and Audi Q5 ECU remapping Viezu and our worldwide network of dealers are proud to offer Audi Q5 tuning and Audi Q5 ECU Remapping. Audi are part of the VAG group, and such a celebrated and opulent brand merits the best in engine tuning and ecu remapping technologies, in which Viezu epitomises. 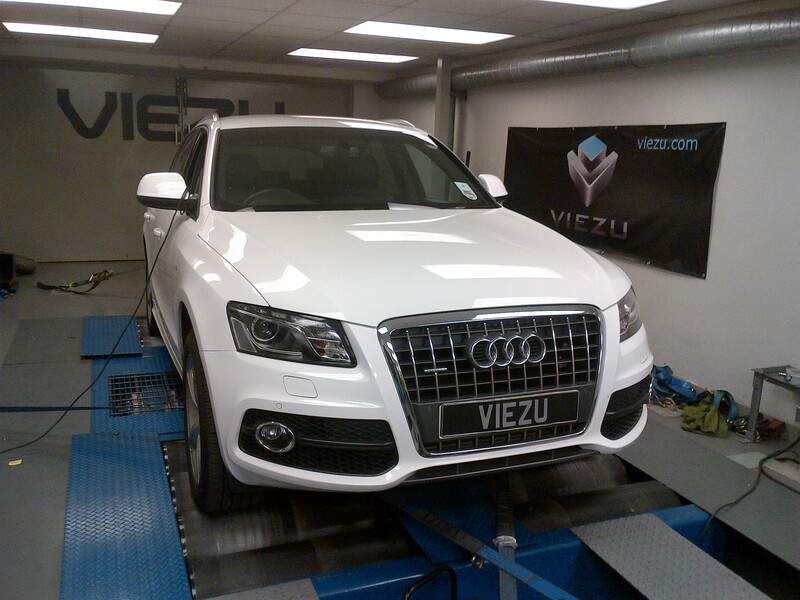 In fact, Viezu leads the world when it comes to Audi Q5 tuning. Our dedicated team of ecu remap software technical specialist construct all of our Audi Q5 tuning maps in-house. Viezu always put our Audi Q5 customer’s needs first and our tuning can be custom tailored to ensure we meet your requirements. If you want more thrust then our illustrious Audi Q5 tdi diesel performance remap, is for you. Or if you have fuel economy in mind, then Viezu’s BlueOptimize Audi Q5 tdi diesel economy tuning is for you. We can also accommodate you if you’d like a blend of the two, thus getting the best of both worlds.